description: A double sided "Plumbing" neon sign. 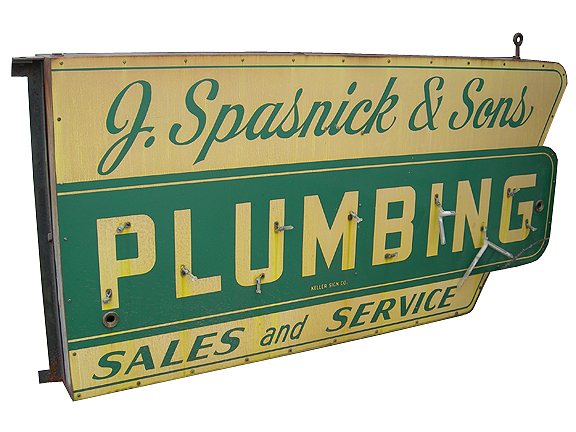 This one of a kind sign was made for J. Spasnick & Son's Plumbing. If this sign had neon, only the "Plumbing" would be lit on both sides. information: This sign is from the original location of J. Spasnick & Son's plumbing, located at 4750 Virginia Ave. St. Louis, Missouri 63111. Currently this sign is in storage awaiting restoration.